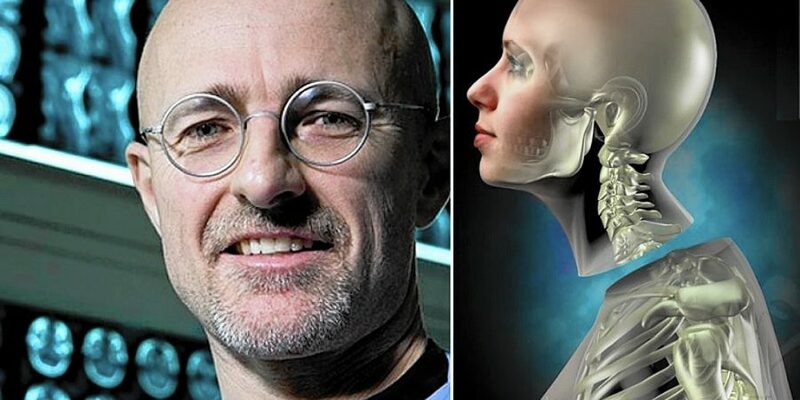 A controversial Italian doctor announced Friday that the world’s first human head transplant was “imminent” and that it would take place in China because his efforts to get backing for the project were ignored by the medical communities in the U.S. and Europe. “The Americans did not understand,” Sergio Canavero said in a press conference in Vienna, Austria, as he discussed a surgery that if it works will be an audacious and near-miraculous therapy that defies decades of scientific wisdom, raises profound biomedical ethical questions and represents another area in which Beijing is seeking to assume the mantle of global leadership from climate to economic governance. Canavero said the Chinese government and Ren Xiaoping, a Chinese doctor with whom he is partnering to perform the procedure, would confirm the surgery’s date “within days.” Canavero previously vowed to hold the operation before the end of the year. “Chinese President Xi Jinping wants to restore China back to greatness and he wants to make it the sole superpower in the world and I believe he is doing it,” said Canavero. Medical experts said the operation would not be permitted in the U.S. and Europe. Canavero did not divulge the identity of the recipient (head) or the donor (body), who will be a brain-dead patient matched for height and build, but who is otherwise healthy. The recipient will be a patient whose head, but not body, is disease-free. Technically speaking, the procedure is a body transplant. When two years ago Canavero first announced he would attempt the surgery, Russian national Valery Spiridonov, 33, who suffers from a rare form of paralysis and muscle-wasting disease that will eventually kill him, volunteered for the procedure. “My family accept me the way I am and tell me that I do not have to change. They want a happy life for me and if I believe this surgery is the answer they support what I do,” he said in a Skype interview from his home outside Moscow late last month. Spiridonov runs an educational software company from his wheelchair. His internal organs are being squeezed, he finds it hard to breathe and painful to sit. For six months of the year he is confined indoors because Russia’s cold weather affects his circulation. What Canavero hopes to accomplish is not much different. At an estimated cost of up to $100 million and involving several dozen surgeons and medical experts, he will simultaneously sever the spinal chords of the donor and recipient with a diamond blade. To protect the recipient’s brain as it is transferred onto the body — to defy immediate death — it will be cooled to a state of deep hypothermia. Recipient and donor will placed in a sitting position to facilitate what’s expected to be more about 24 hours of gory, laborious work to separate and then reconnect vertebral bones, jugular veins, the trachea, esophagus and other neck structures. The recipient will be helped to breathe, and blood pumped around the body, with machines. The patient will be kept in drug-induced coma for an unspecified recovery time. This is why, he said, if you amputate your wrist and then re-implant it and line the nerves up well you can recover function in your hand. But if your arm gets amputated at the shoulder, it won’t be re-implanted because it will never lead to a functional hand. “What Canavero will do differently is bathe the ends of the nerves in a solution that stabilizes the membranes and put them back together. The nerves will be fused, but won’t regrow. And he will do this not in the peripheral nerves such as you find in the arm, but in the spinal chord, where there’s multiple types of nerve channels,” Sarr said. There has been some success using Canavero’s proposed technique on mice and dogs. In one example, a dog walked after six weeks, albeit with an awkward gait. “Based on the classic thinking about how nerves regenerate it was unbelievable,” said Sarr. Canavero said Friday that his team has “rehearsed” his techniques with human cadavers in China, but there are otherwise no known human trials. He said the 18-hour operation on a corpse showed it was possible to reconnect the spinal chord and blood vessels. Most medical experts say it’s a long shot, but even if it the surgery works the biggest obstacle may not be the science itself but whether it should happen at all. Pascalev said that any groundbreaking procedure — especially its first iteration — is almost certain to face objections and skepticism and requires quite a major leap of faith. James Giordano, a professor of medicine and neurosciences at Georgetown University Medical Center in Washington, agreed that not enough rigorous study has been done to support a procedure with so many risks. He said patients might be better served if Canavero focused on spinal reconstruction, not transplants. Yet he also gave him some credit for his pioneering work. For Spiridonov, there was a sense of relief after found out that he would not be Canavero’s first human guinea pig. “It would not have changed my hobbies: reading, watching movies. It would not have changed my job, but of course I would have been able to do more. However, I would still essentially like to live a life of the mind,” he said.